The tire experts at Hari's Auto Service Center know that healthy tires are essential for the safety of you, your family & other passengers. Call in to have your tire condition checked today and make sure you have the required level of tread needed for safe driving. Remember, balding tires are dangerous! 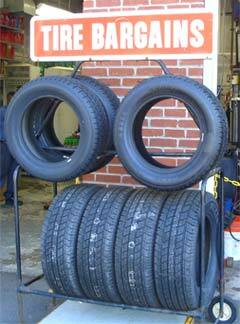 GOOD TIRES ARE ESSENTIAL FOR SAFE DRIVING. CHECK YOURS TODAY!